The number of undesirable side-effects produced by traditional approaches to skin care that involve harsh chemicals makes a turn to natural, plant-based skin care seem obvious. But, does nature really hold solutions for conditions like acne, rosacea, and hyperpigmentation? And if so, which plants are most effective? Too often, the thought process involved in achieving results from a skin care routine (both as aestheticians and clients) is, “If it burns or causes me to peel, it works!” However, as the technology of obtaining actives through nature evolves, this traditionally aggressive approach is not always necessary. There are a plethora of plant-derived alternatives and newer and gentler – yet effective – acids available to achieve fantastic results in skin care. When used correctly, these nature-based treatments will not have harsh side effects or cause irritation. In addition, aestheticians are seeing a general increase in allergy-prone, compromised, sensitive skin types, as well as an influx of clients undergoing chemotherapy and radiation. With so many of these skin-centric health challenges, the need for these natural alternatives becomes even more prominent and necessary to consider as skin care professionals. So, how does one choose which ingredients to effectively treat specific skin concerns? Research! There is a substantial amount of scientific and clinical studies to validate natural ingredient claims. One ingredient in particular, Swiss green apple stem cells, has garnered a lot of attention from the skin care community for its ability to stimulate collagen, increase the regeneration of epidermal skin cells, and reverse the visible signs of aging in the skin. The epidermis is in a constant state of renewal, and part of what controls this process are epidermal stem cells.2 The purpose of this constant renewal is to maintain barrier function, which protects the skin from pathogens, facilitates hydration, and prevents allergens and toxins from damaging the skin. As the skin ages and becomes exposed to free radical damage, these same stem cells that influence cell renewal begin to lose energy, leading to a slower cellular turnover rate and a more fragile and dry epidermis. Penetrating apple stem cells into the epidermis helps to replace some of these lost factors within epidermal stem cells, boosting epidermal stem cell vitality and leading to smoother and more hydrated skin, with a more youthful appearance. Another novel stem cell from the sprouts of the Argan tree focuses on the regeneration of the dermis. The dermis is partly responsible for the skin’s overall suppleness, volume, support, and elasticity. Just like the epidermis, as the dermis is exposed to free radical damage, inflammation, and the overall effects of aging, the dermal stem cells responsible for dermal maintenance and repair begin to become compromised. Just like the epidermal stem cells, these same cells slow down as they age, leading to a slower production of new dermal collagen and support. Like the Uttwiler Spätlauber, Argan trees show high resiliency and resistance to disease, as well as adaptability to extreme weather conditions. To harvest their treasured stem cells, the sprout of the Argan tree is injured, creating the formation of a similar callous to the Swiss green apple, and fresh new stem cells become available. This process is conducted in a sustainable manner and these stem cells are delivered through liposomal technology to the dermal papilla, or hair follicle, where their regenerative properties are lent to the dermal fibroblasts.3 Dermal fibroblasts are the cells responsible for the creation of new dermal collagen and elastin; penetrating the Argan stem cells into the dermal papilla gives these fibroblasts a temporary boost, filling in deeper wrinkles and tightening the skin through an increase of collagen and elastin production. Soothing redness-prone, irritated skin can be tricky and current chemical-based treatments leave much to be desired in terms of achieving results for many clients. Extreme temperature changes, ultraviolet damage, cold weather exposure, and other environmental challenges initiate a protective, inflammatory response from the skin which creates the redness, broken capillaries, and potential swelling that those that suffer from rosacea are all too familiar with. Current chemical treatments involve antibiotics, acids, and other solutions with potentially harmful side effects, not to mention high cost. As an alternative, nature provides a multitude of ingredients with proven results to soothe irritated skin. Biophytex™ is a trademarked blend of yeast extract and herbs – such as butchers’ broom root, hydrocotyle leaf extract, marigold flower extract, horse chestnut seed, and licorice root – all designed to synergistically target inflammation, increase microcirculation, and soothe irritation, effectively protecting capillaries and reducing reactivity in the skin.4,5,6,7,8 All of these herbs contain naturally occurring chemicals called saponosides and flavonoids, which explain their incredible protective, healing properties. In a double-blind study, with randomized application twice per day, applying a cream which contains Biophytex™ showed a significant reduction in erythema and broken capillaries and an increase in microcirculation. As a result, the signs of irritability and fragility in the skin were reduced and the skin’s overall tone and color appeared more uniform. Arnica is another timeless healing ingredient from nature that presents many uses for redness-prone, rosacea skin types. Imagine that the capillaries of the skin are like a system of pipes which transport blood, nutrients, and oxygen, and, over time, these pipes become weakened and burst, creating broken capillaries that can no longer move blood through the pipes. Clients with rosacea have more of these “broken pipes” due to rosacea being an inflammatory condition. Chronic inflammation causes the capillaries to widen or stretch more often than normal, leading to eventual tearing. With the blood having no “pipes” to move through, it becomes stagnant, causing the increased redness and purple vessels typically seen on the skin of the cheeks and chin. Arnica has a unique ability to increase the production of specific white blood cells that remove stagnant, dead blood cells, effectively reducing redness and making the broken capillaries appear smaller. The trouble with the treatment of hyperpigmentation is that individuals need pigment in their skin. Pigmentation provides protection from ultraviolet rays and radiation and functions as a part of the skin’s immune system. 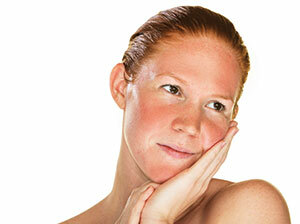 Many chemical-based treatments, such as hydroquinone, destroy melanocytes, which are the cells that produce melanin. The destruction of these cells potentially creates a new problem: increased sun sensitivity and hypopigmentation. 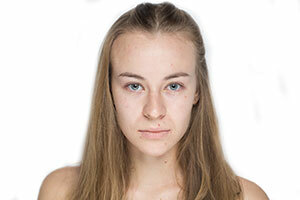 The complete loss of pigmentation removes virtually all protection from the skin. Hydroquinone has been banned in multiple countries, due to concerns with toxicity, carcinogenic properties, and the increase in sun sensitivity it may create. Once again, nature has many alternatives to utilize to achieve effective results. Inflammation is involved in virtually every cause of hyperpigmentation, except for melasma, which is also known as hormonal pigmentation. Sun exposure, heat subjection, and injury to the skin through acne or burns create various symptoms of inflammation in the skin, specifically flushing. Many topical treatments on the market for hyperpigmentation only focus on the pigment itself, not the inflammation that triggers it, which means a larger part of the picture in treating the root cause of hyperpigmentation is missing. Gigawhite™ is another trademarked ingredient made up of a combination of Swiss alpine herbs – including primula, yarrow, speedwell, mallow, and peppermint – which work together synergistically to suppress inflammation and tyrosinase, the key enzyme that triggers the pigment creation process.9,10,11,12,13,14 Tyrosinase is involved in the creation of natural pigment content of various skin tones, as well as the protective reaction in the skin that creates the condition known as hyperpigmentation or excess pigment. These herbs cause vasoconstriction, or the constricting of blood vessels, and soothe the skin, blocking the main trigger for excess pigment release. Think of this powerful combination of plant-based ingredients as a safety switch for excess pigmentation initiation. 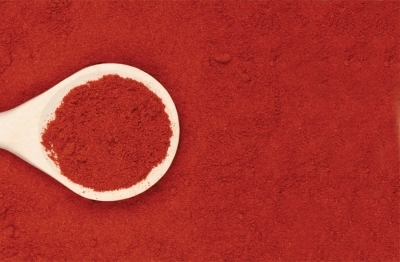 Other herbs, such as licorice root, bearberry, and African potato, also have proven pigment-lightening, pigment-suppressing, and antioxidant properties, which offer other valuable, natural alternatives in the treatment of hyperpigmentation.9 These herbs also focus on the inflammation and tyrosinase that triggers the pigment process, in addition to slowing the production of new melanocytes or pigment-producing cells of the skin. All of this is achieved without creating increased sun sensitivity or involving chemicals with potential carcinogenic effects. Current medical and prescription treatments for acne can come with a laundry list of side effects, including excess dryness, peeling, increased sensitivity and redness, hormonal imbalances, allergic reactions, and even potential liver damage. The need for natural alternatives becomes clearer every day, as science is also beginning to reveal serious long-term side effects from some of the drugs that are prescribed for acne. Other natural antiseptics are used in the treatment of moderate to severe acne through killing bacteria and other microbes that are potentially involved in the cause of breakouts in the skin; this includes microbes such as fungi or yeast, which can create infections within the follicle. These natural antimicrobials include goldenseal, rosemary, lavender, and cinnamon, along with many other natural sources.17,18,19 It is possible that the greatest properties of these ingredients are the ability to target multiple types of acne-causing microbes and the preservation of the skin’s own beneficial bacteria. Maintaining the integrity of the skin’s microbiome ensures that the natural function of the skin as a defensive barrier to harmful bacteria will continue. With the multitude of natural ingredients that hold clinical proof of results without harmful side effects, plant-based options for skin care professionals are limitless. 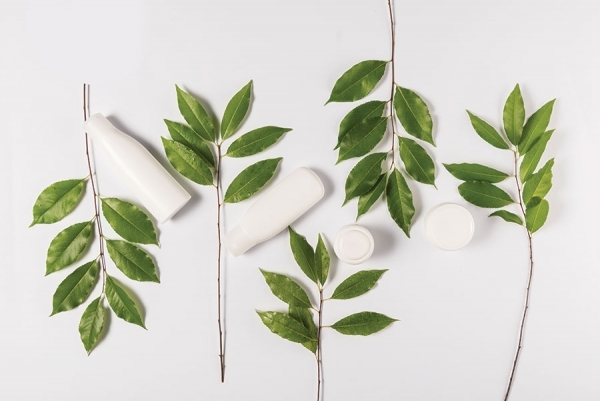 As skin care professionals start to request more natural, effective options in place of potentially harmful chemicals, the demand for more natural ingredients integrated into skin care products will organically create the supply. This will also increase the amount of research and development dedicated to new, natural ingredients that are even more effective at treating clients’ skin care concerns without harm. Aestheticians can be advocates for skin health by sending a message to the skin care community that natural ingredients matter, perpetuating the positive cycle of effective, plant-based skin care. 1 Schmid, D, P Schurch, E Belser, and F Zülli. “Plant Stem Extract for Cell Longevity of Skin and Hair.” SOFW Journal 134, no. 5 (2008). 30-5. 2 Barthel, R and D Aberdam. “Epidermal stem cells.” J Eur Acad Dermatol Venereol 19, no. 4 (2005). 405-13. 3 Schmid, Daniel, Esther Belser, and Fred Zuelli. “Vitalization of dermal stem cells for skin rejuvenation.” Switzerland: Mibelle Biochemistry, 2011. 4 Ukiya M, T Akihisa, K Yasukawa, H Tokuda, T Suzuki, and Y Kimura. “Anti-inflammatory, anti-tumor-promoting, and cytotoxic activities of constituents of marigold (Calendula officinalis) flowers.” J Nat Prod 69, no. 12 (2006). 1692-6. 5 Gohil, KJ, JA Patel, and AK Gajjar. “Pharmacological Review on Centella asiatica: A Potential Herbal Cure-all.” Indian J Pharm Sci 72, no. 5 (2010). 546-56. doi: 10.4103/0250-474X.78519. Arzneimittelforschung. 52, no. 4 (2002). 243-50. 9 Smit, N, J Vicanova, and S Pavel. “The hunt for natural skin whitening agents.” Int J Mol Sci 10, no. 12 (2009). 5326-49. doi: 10.3390/ijms10125326. 11 Saeidnia, S, A Gohari, N Mokhber-Dezfuli, and F Kiuchi. “A review on phytochemistry and medicinal properties of the genus Achillea.” Daru 19, no. 3 (2011). 173-86. 12 Martins, CAF, ML Campos, AC Irioda, DP Stremel, ACLB Trindade, and R Pontarolo. “Anti-Inflammatory Effect of Malva sylvestris, Sida cordifolia, and Pelargonium graveolens Is Related to Inhibition of Prostanoid Production.” Molecules 22, no. 11 (2017). doi: 10.3390/molecules22111883. 13 Gründemann, C, M Garcia-Käufer, B Sauer, E Stangenberg, M Könczöl, I Merfort, M Zehl, and R Huber. “Traditionally used Veronica officinalis inhibits proinflammatory mediators via the NF-κB signalling pathway in a human lung cell line.” J Ethnopharmacol 145, no. 1(2013). 118-26. doi: 10.1016/j.jep.2012.10.039. Epub 2012 Nov 9. 14 Meamarbashi, A, and A Rajabi. “The effects of peppermint on exercise performance.” J Int Soc Sports Nutr 10, no 1 (2013). 15. doi: 10.1186/1550-2783-10-15. Dermatol Venereol Leprol 73, no. 1 (2007). 22-5. Dermatol 58, no. 3 (2017). 205-210. doi: 10.1111/ajd.12465. 17 Ettefagh, KA, JT Burns, HA Junio, GW Kaatz, and NB Cech. “Goldenseal (Hydrastis canadensis L.) extracts synergistically enhance the antibacterial activity of berberine via efflux pump inhibition.” Planta Med 77, no. 8 (2011). 835-40. doi: 10.1055/s-0030-1250606. 16, no. 4 (2013). 324-33. doi: 10.1089/jmf.2012.2577. 19 Zu, Y, H Yu, L Liang, Y Fu, T Efferth, X Liu, and N Wu. “Activities of ten essential oils towards Propionibacterium acnes and PC-3, A-549 and MCF-7 cancer cells.” Molecules 15, no. 5 (2010). 3200-10. doi: 10.3390/molecules15053200. 20 Gueniche, J, D Benyacoub, P Phillippe, N Bastien, L Kusy, Breton, et al. “Lactobacillus paracasei CNCM I-2166 (ST11) inhibits substance P-induced skin inflammation and accelerates skin barrier function recovery in vitro 737A.” Eur J Dermatol 20, no. 6 (2010). 731-737. Boldijarre Koronczay, president of Eminence Organic Skin Care, is an icon of the spa industry. Having personally trained over a quarter of a million professionals in the past two decades, his humorous and entertaining presentation style, combined with first class education and Hungarian-inspired treatment techniques, make his Master Classes a crowd favorite at every industry event. His passion for the industry drives him to continue personally educating at trade events, sharing his enthusiasm, inspiration, and knowledge at every session. Koronczay is a survivor of childhood leukemia, inspiring Eminence Organics to introduce the Eminence Kids Foundation, a philanthropic initiative which provides thousands of nutritious, organic meals to seriously ill children in North America and Europe. Brian Goodwin is an international educator for Eminence Organic Skin Care. As a master medical aesthetician, master herbalist, and consultant with over 10 years of experience in the spa industry, Goodwin brings his love and enthusiasm for skin care to the masses with his passionate, fun, and educational trainings. Goodwin has had the honor of educating and consulting over 2,000 distinguished spas and has also been a keynote speaker most notably in New York City, Washington D.C., Los Angeles, and Vancouver, guiding spas towards finding success in both educational and business growth.